Now there’s luxury watches and then there’s extreme luxury watches. Want to take a guess at the price tag on the world’s most expensive one for sale right now? Don’t even bother…you won’t believe it anyway. 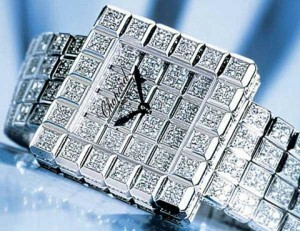 The most extravagant luxury watch on the market to date is the diamond encrusted Chopard, listed at a cool $25 million dollars. While this watch boasts over 201 carats of pink, blue, and white diamonds, including a single 163 carat diamond…who is really going to walk around with this on their wrist? Obviously, this is a showcase piece, but is all that opulence really necessary. When half of America is out of work and struggling, do we really need to be so bold and brazen as to create a watch like this? I guess the answer is yes, but I for one think it is rather ridiculous. I want to own pieces with history and meaning, like the old blue dial Seiko watch that my dad used to wear. I keep that piece tucked away safely in my jewelry box and if anything ever happened to it I would be crushed, but I wouldn’t be broke. Choosing luxury watches should be more about taste than cost. It was 30 years ago, when Raymond Weil first introduced themselves to India. 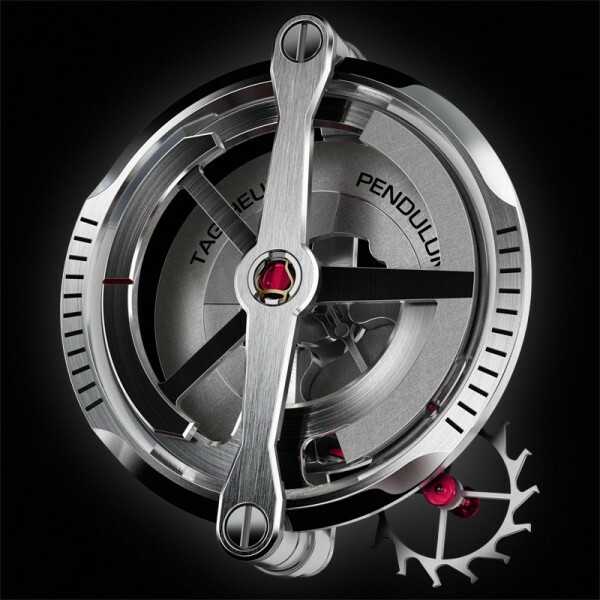 Today, the fast growing economy of India offers enormous potential for the Swiss watch maker. The India market is the perfect atmosphere for Raymond Weil to place their focus, and that is exactly what they are doing. 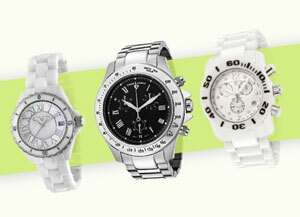 RW has recently established a subsidiary in India and by June of 2010 is operating three specialty watch boutiques there. The founder, Raymond Weil recognized the importance of building a solid relationship with India, many years ago, and set out to make a name there. One of their signature boutiques is run with the cooperation of Kamal watch Company. Kamal is a family owned watch maker, like Raymond Weil. Their personal approach to watch making is the perfect match for RW, and Kamal is a well established company in India. The new boutique is in the city of Hyderbad Nizam, and was opened of June 11, 2010. The celebrated boutique opening drew the attention of many celebrities from the sports and entertainment worlds. Raymond Weil’s passion for watch making is well respected among their peers, and their values are admired, as well. Their hope is that their efforts in India will have big pay offs in the future. Gucci, the trendsetting design house and luxury watch maker is taking a different approach to their ad campaigns this year. This iconic fashion house is utilizing their rich and illustrious history for the inspiration of their new advertising campaign. Their new ads will feature two black and white images, which were shot back in the 1960’s. Gucci’s new international ad campaign will use these images as a back drop to their three new collections. The ads will highlight Gucci’s timepieces, which will be superimposed over the black and white prints. The G-Gucci timepiece, Gucci’s digital watch, and a traditional men’s chronograph, featuring a moss green bracelet are the watches to be showcased. The original vintage photos are of 60’s model and actress Veruschka von Lehndorff. 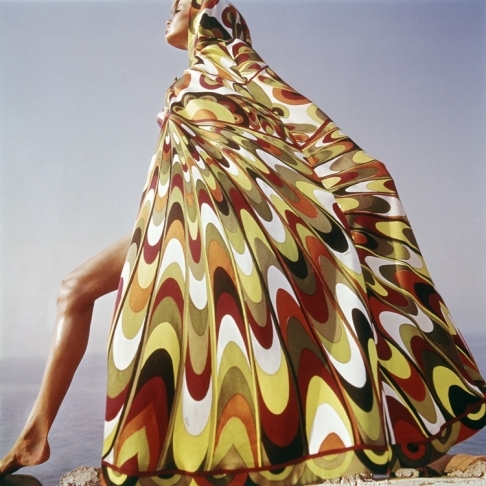 Veruschka was a legendary model, making 11 appearances on the cover of Vogue magazine and working with artists, such as Salvador Dali, and her shots are as relevant and riveting today as they were 50 years ago. Digging up these archived images and using them in a contemporary and updated way shows off Gucci’s brilliance, as a designer. Gucci is pairing the timeless beauty of the past and the present, showing that splendor really doesn’t ever go out of fashion. Movado is a watch company who wants to come through these tough economic times smelling like a rose, and to accomplish that, they must plan ahead and make some crucial choices. This year Movado will close many of their retail sales boutiques, making room for more revenue through third party sales, via the internet and through other retailers. This change is huge for the Swiss watch maker, but will not (on its own) promise a bright future. 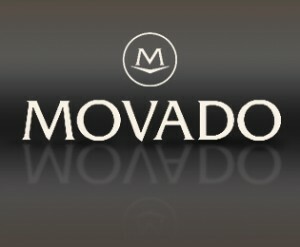 The experts at Movado have a few more surprises for us, one of which is the promotion of Joe Faranda. Faranda is a global marketing expert and is Movado’s new Senior Vice President of Consumer Insights and Strategic Planning. This position is new and created especially for Faranda. He will report directly to Chairman and CEO of Movado Group, Inc, Efraim Grinberg. In this new position Mr. Faranda will be responsible for overseeing product development and marketing strategies for Movado and ESQ for Movado. 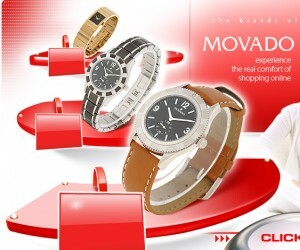 He has been brought in to utilize his expertise and to bring Movado through this time, hopefully with flying colors. Movado’s position is to stay strong through these times, to be smart, and to come out the other end more successful than when they went in. It seems like everywhere you look, you see a Raymond Weil reminder. It is this watch makers intent to become the most sought after luxury watch brand in the world, and they are going to achieve that, by being everywhere, on every wrist. Not only are they planning more extensive global expansion this year, they are making their way to Hollywood, and even on to one of the states most watched television show, American Idol. During the final weeks of the competition, American Idol contestants Lee DeWyze, Crystal Bowersox, and Casey James were seen sporting some of the Raymond Weil favorites. Down-home rocker, Casey James chose the Don Giovanni Cosi Grande watch. This is a tank style piece, fitted with a black leather strap, totally suiting his style. Crystal Bowersox made the Noemia her watch. The Noemia watch for Crystal featured a black Mother-of-Pearl dial, with polished steel case. The watch was matched with a leather bracelet, in black, and was completely lit up with 64 luxurious diamonds. 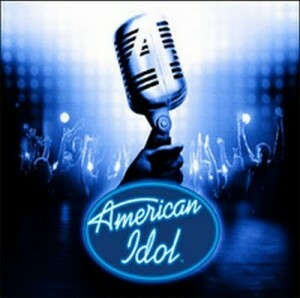 The winner of American Idol, DeWyze was seen wearing the RW Freelancer. This large steel watch is an automatic chronograph. 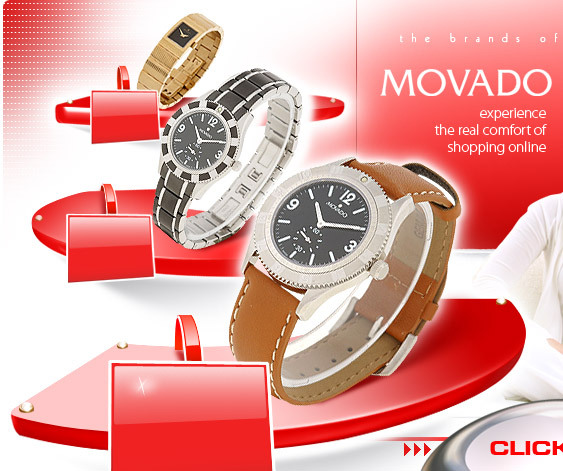 It is presented on a brown leather strap, and was the watch Raymond Weil featured in its National Ad campaign this year. 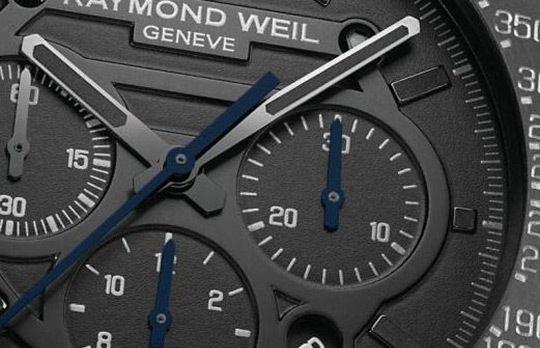 Raymond Weil is making their way…one wrist at a time.